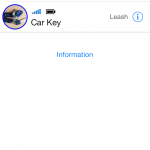 Bluetooth Smart Finder iOS App | Ace Sensor Inc.
Smart Key Finder tags are the most advanced object finder to locate objects directly from your smart phone. 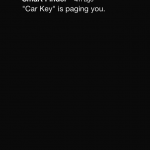 It uses the Bluetooth 4.0 technology (also called Bluetooth Low Energy – BLE) which can last over 12 months on a coin cell battery. 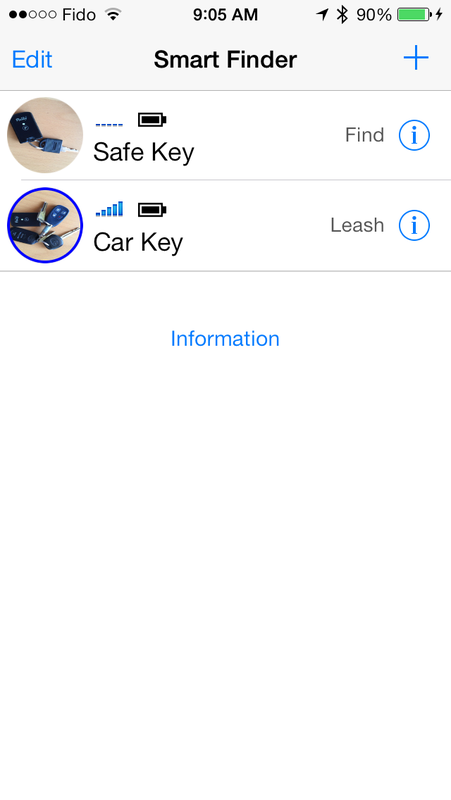 The iOS Smart Finder app works with the Smart Key Finder tags to implement Find-Me and Electronic Leash services. 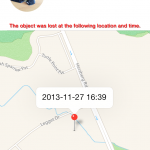 The Find-Me service can be used to locate objects up to 50 meters (164 feet). 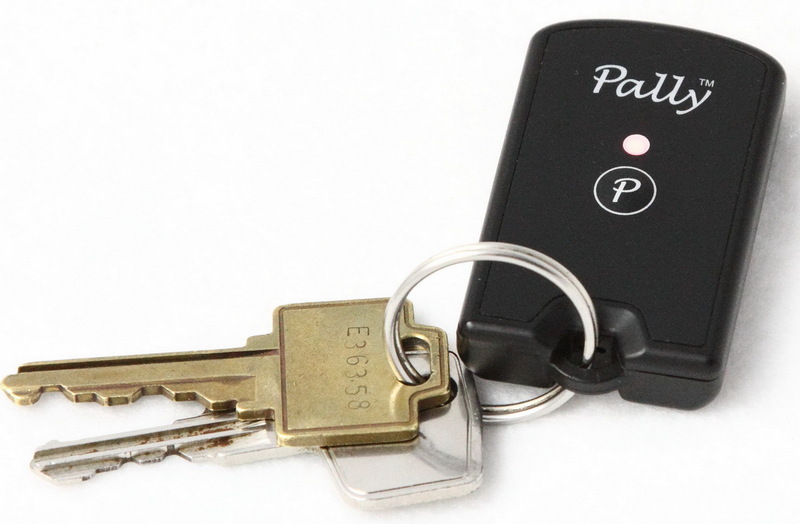 You can attach the Smart Key Finder tags to easily misplaced objects, such as keys, wallets, purses, remote controls, canes and umbrellas, etc. 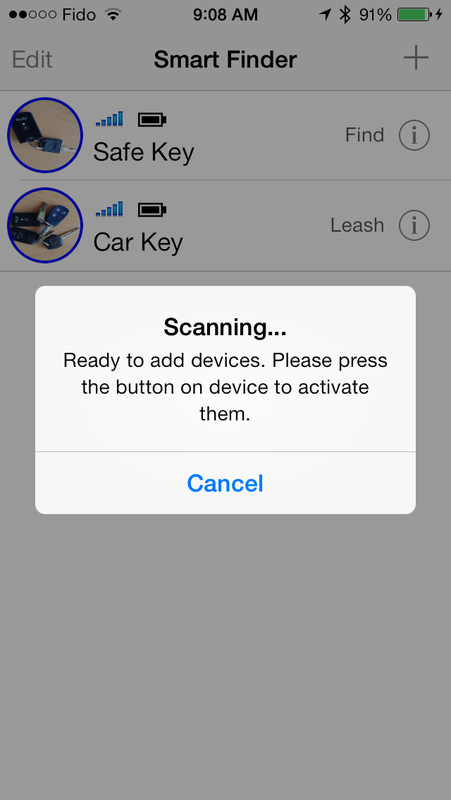 When the Find-Me service is activated on your iPhone, the Smart Key Finder tag will beep and flash. 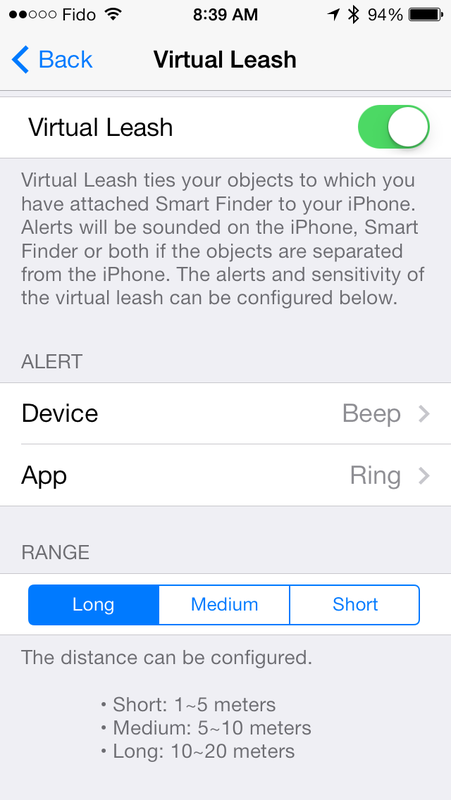 The Smart Finder app has a unique feature to guide you towards the lost object. 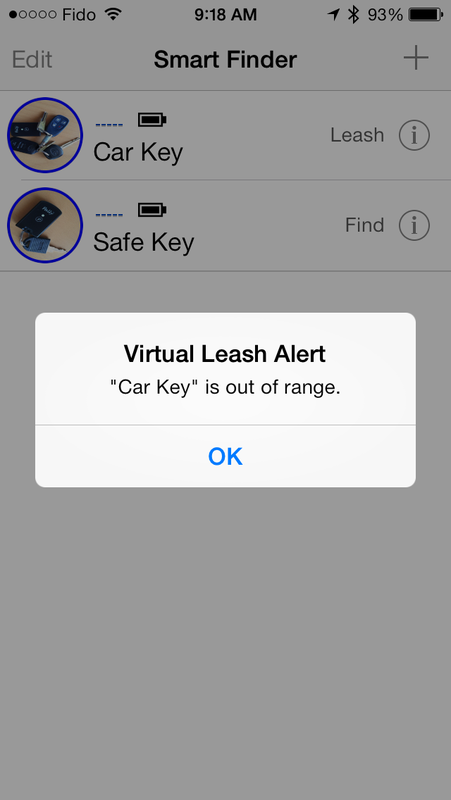 It has a signal strength indicator which gives you a sense of distance between you and the lost object. 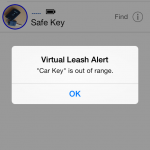 The Electronic Leash service ties your Smart Key Finder attached object to your iPhone. 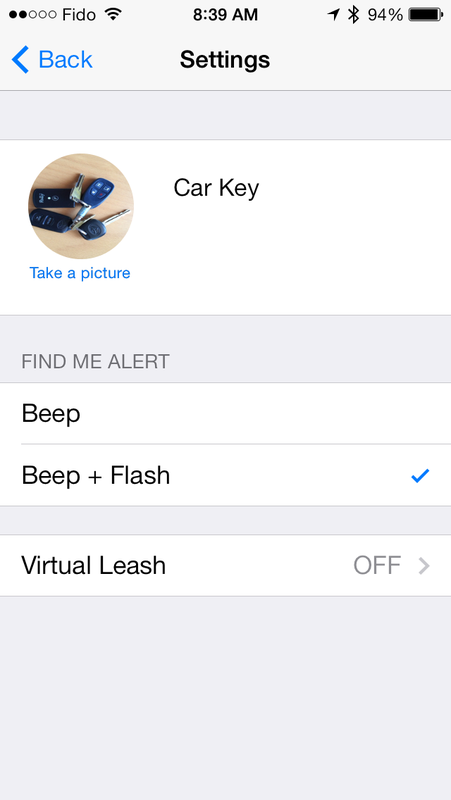 Alerts will be sounded if the two are separated at a distance on the iPhone, the Smart Key Finder or both. 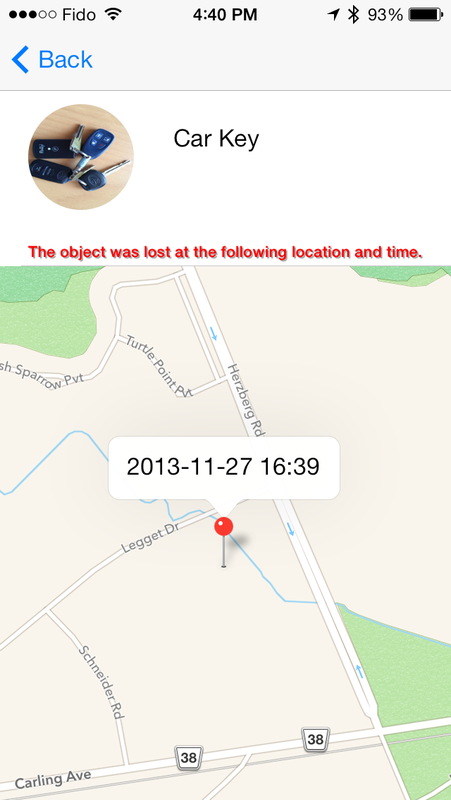 The GPS location is also recorded to help you return to look for the lost object. 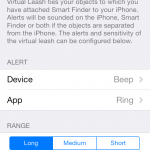 Electronic Leash is perfect for situations such as keeping any eye on wandering kids/pets in a park or your valuables when travelling. 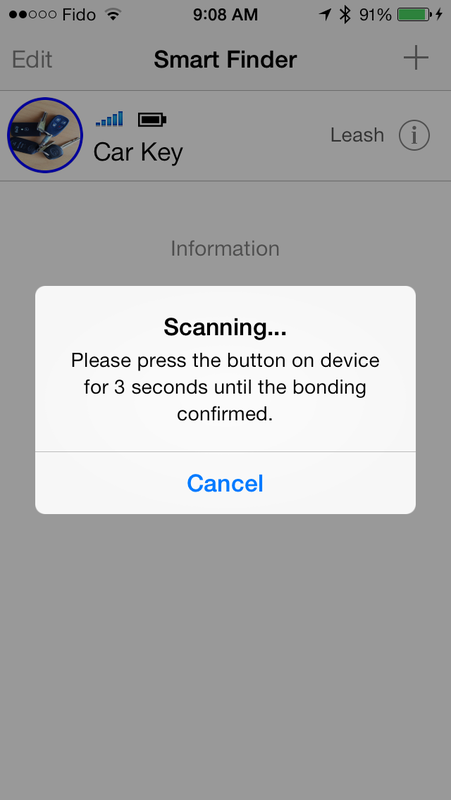 The distance can be configured as follows. 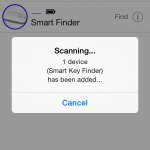 Smart Finder is a free iOS app which can be download it from iTunes App store. You can purchase Pally Smart Finder key fob, from Amazon which works with the Smart Finder app. Please note: Smart Finder only works on iOS devices with Bluetooth 4.0, i.e. 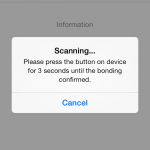 iPhone 4S/5/5C/5S, iPad 3/4/Mini/Air/Mini2, iPod Touch 5th generation. 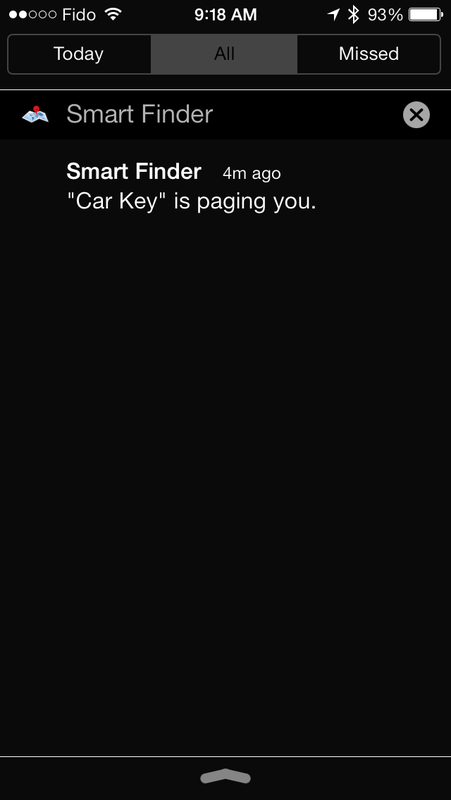 The following are screen shots of the Smart Finder iOS App. 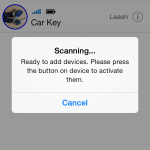 Please send us a comment if you have any question or suggestion. 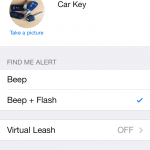 It takes a few seconds for pairing, and 1~2 seconds to activate alert on the tag.